OKEx is implicated in the scandal that tops all scandals and threatens to topple a dangerously fragile public perception on digital money trading. 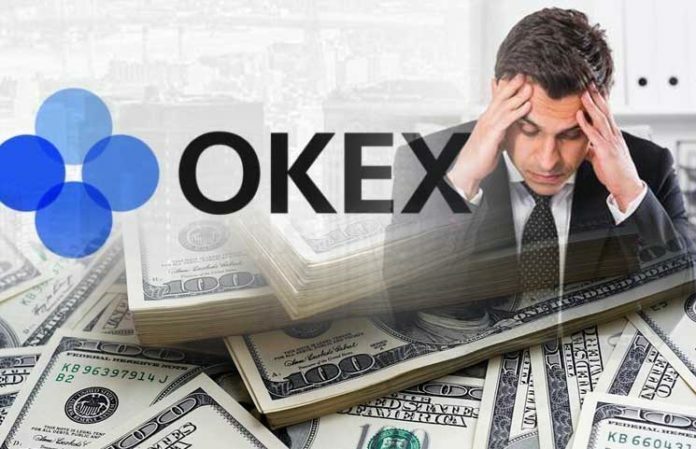 Bloomberg, CNN and the Blockchain reporter narrated how OKEx infuriated millions of traders when it decided to change the terms on $135 million of derivative contracts that resulted in losses for many investors. The lack of regulation on digital trading platforms, absurdly high stakes digital assets and dodgy cryptocurrency exchanges blemishes the once pristine and promising symbol hope and security that Blockchain was built for. But is it all hope lost, though? Jonathon Loi, Mohammad Dabiri and Evgeni Pirianov engineered the Level01system to hardwire a new level of trust and accountability that no Blockchain trading platform has ever done. Jonathon is the visionary CEO and founder of Level01, the world’s first brokerless Derivatives Exchange in collaboration with Thomson Reuters. Mohammad Daibiri is Chief System’s Architect on Level01, supplementing Jonathon’s brilliant vision with an ingenious Blockchain architecture. And Evgeni Pirianov, Level01’s Blockchain Consultant bolstered this decentralized Derivatives Exchange with his industry knowledge of trading platform and smart contract. The extraordinary way that Level01 is engineered is analogous to John Lennon’s song “Power to the People” because it relinquishes the central system’s control of Level01’s native LVX token to the LIST smart contract with its source code publicly visible and auditable by the public in a structured and transparent manner. Level01’s smart contract will not surrender the tokens held for trade contracts under any circumstances, until trade settlement occurs and the benefiting counterparty is determined. It will then perform its automated duty and transfer the profit tokens to the benefiting party. “This security feature makes contract heists impossible on Level01 ” says Jonathon Loi. You get the sense that Level01 is obsessed with building Trust. Their online channels are peppered with detailed analysis of trust and security issues that are common to other trading platforms, and their tables have stacks of documentation that detail the design of a well thought-out security system led by a user-first philosophy. “Our servers are secured with multiple layers of firewall and server security solutions to safeguard the system from different types of attacks. The firewalls are continuously monitored and configured to identify malicious activity and eliminate current and potential attacks while ensuring a stable service” explains Daibiri with quiet confidence. As well as the safety measures that keep the system secure, Level01’s other trustworthy feature is the ability to handle mitigate Blockchain congestion. If at all, congestion occurs, it may cause a delay in the confirmation of user tokens lock or allowance on-chain, which may defer options contact creation. It could be annoying to wait, but there is absolutely no direct implication to users’ funds or wallet. “We solve this with roadmap upgrades on the Ethereum network such as the Raiden network solution, pre-sharding and the Plasma network will all help to alleviate and solve Blockchain congestion issues” adds Evgeni Pirianov. In other words, users will always have their wallets and funds safe, even if the system may run slower, and perhaps congestion may not even occur because of continual upgrades to the Level01 system. Across the Level01 system, more security features are already in place. A known attack on the Blockchain such as ‘Front Running’ will be non-existent because the Level01 platform submits matches to the smart contract instead of having a traditional order book bid and ask price queuing that other trading platforms have. “Think of it more like a pre-agreed price and parameters contract submission between two parties, and awaiting conclusion time for settlement of the trade contract” says Pirianov. It’s obvious that there are derivative contracts for trade, but this is certainly no ordinary trading platform. Perhaps Level01’s greatest deed, however was in the partnership it formed with Thomson Reuteurs, renowned for providing trusted data and information to investors. This partnership seals Level01’s commitment to providing trust. It was conceived that an independent third party authority and oracle is needed, to restore faith in derivatives trading, and for traders to come together in a shared belief in liberal trading. While Level01 relies on the data feed by Thomson Reuters, the system manages options contracts with fixed settlement parameters, and payoffs based on the future value of an asset. Level01 calls it Stale Oracle Arbitrage, and this basically means that there is no scenario where arbitrage is possible because the parameters are known beforehand during trade matching and sealed in the LIST smart contract on the Blockchain. But what if a hacker decides to flood the Level01 system by creating and cancelling trading intent en masse? “We mitigate this type of attack by limiting the amount of trading intents that can be cancelled by any user per hour.” explains Daibiri. He also opens his laptop to reveal a chart to show how trade matching is performed off-chain, and how cancelled contracts can be delisted from the platform with minimal repercussions. Unlike other trading platforms where trade matching is conducted on the Blockchain: delisting a trading contract will cause latency and cost issues, however it would still affect that platform adversely for an attacker that can afford the time and cost. “Cancellation of a contract once it is trade matched and sealed on the Blockchain is not supported” adds Daibiri with good measure. 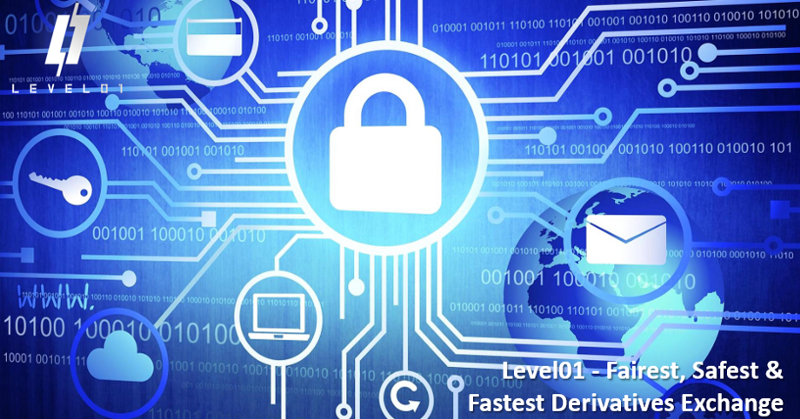 After studying the many incidences of fraud within the other trading platforms, Level01 pioneered a global approach to trust that sought to break away from traditional practices that most Derivatives Exchange have. Their key work is called Trading Intent or Settlement Redirection. “Any tokens or fund transfers needs to have signatures from both counterparties of the contract (initial issuer and matcher) so no party including the Level01 platform itself can redirect transfers anywhere else because it would be impossible to falsify users’ signatures.” says Pirianov. This level of surrender is exceptional, because it keeps trade purely between the parties. It feels as if Level01 has laid and raised a completely new and solid standard in a Derivatives Exchange. Closely followed developments in Blockchain security combined with Daibiri’s military-like obsession for a tightly run Blockchain Derivatives platform truly its innovation and edge in security. The result is a well-oiled machine that is always a step of hackers. “We also have measures for a replay attack,” says Daibiri. A replay attack is a resubmission of data with original protocol verification; it is an attempt to load the system with redundant information. For example, someone could resubmit parameters of a trade intent contract and this could potentially confuse the system, before it goes on-chain for sealing. “But Level01’s smart contract prevents this type of attack by remembering unique hashes of all transactions, hence making it impossible to conduct a replay attack on the system,” Daibiri adds with assurance. All of it is well and good, but what about a possibility that a transaction is suppressed? “Well, all users will receive hash verification for all trade intents created and matched trades executed, so there will be no occurrence where a transaction execution does not occur, if that happens, the user is notified otherwise.” says Daibiri. What about the possibility that during the last mile operation on the Blockchain, the block transaction is not mined due to unforeseen circumstances? We are told that Level01 will alert the user that his transaction did not occur. Blockchain may not be known in its full potential, but that is changing. For a technology with a short a turbulent history, it has a rich array of parameters that can help trade and finance thrive — it’s just not that well executed — until now. “This is what a transparent, secure and trustworthy Derivatives Exchange looks like” says Jonathon Loi. “This is where most trading platforms on the Blockchain should be moving towards to”. Projects such as this crystallize the true power of Blockchain technology. Visionaries may be adept at imagining such new financial worlds on the Blockchain, and system architects have what it takes to build them, but as Level01 has shown, they cannot do it without the users.